Left: Cosmic microwave background radiation. Right: Ferroelectric domain walls in yttrium manganite imaged using piezoforce response microscopy (PFM).  This theory describes the formation of topological defects during a phase transition. It gives the symmetry requirements for the formation of these defects, which include zero-dimensional monopoles, one-dimensional ‘cosmic strings’ and two-dimensional domain walls. The Kibble-Zurek mechanism further puts a quantitative estimate on the number of these defects that are formed during a phase transition, which scales with the critical exponent of the universality class of the phase transition. In collaboration with Manfred Fiebig’s group at the ETH Zürich, we verified the Kibble-Zurek scaling for the first time in a crystal. We found that the intriguing six-fold domains are set by the formation of topological defects at their meeting points. 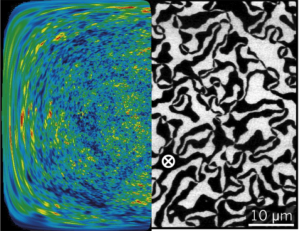 These defects can be directly imaged owing to their ferroelectric properties – the black and white domains in the image correspond to domains with opposite polarization – which can be imaged using piezoresponse force microscopy.